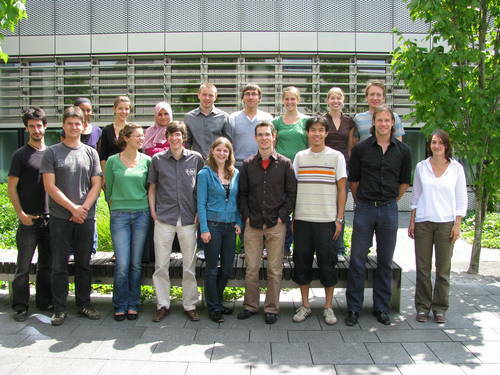 This years iGEM-mission starts again with a new and very ambitious project. The iGEM-team 2009 consists of 13 students who are going to develop "SpyBrick"-DNA to provide a quantitative and specific measurement tool that will be a valuable addition to iGem's BioBrick library. Despite not competing in the software track of the competition they are developing a software to predict sequences for synthetic promotors. Both lab- and computer-work will start in August and important news will be continously updated on the official Team-Wiki.